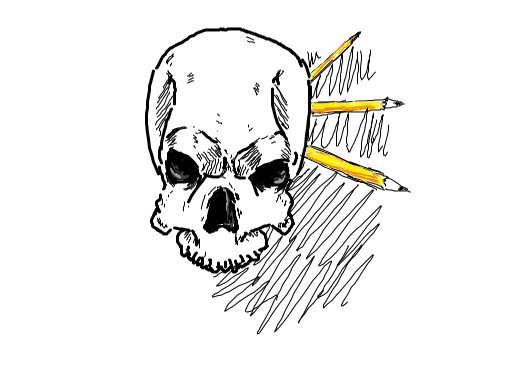 A construction of the Doodle or Die logo, using an actual skull and a couple of pencils. Skull and pencils, its properly shaded. The eager student killed himself finally after the third pencil had entered his skull, eraser first. Or a very detailed DoD logo, not sure. Someone decided to stop doodling. They died.